"Kalimera" to everyone. 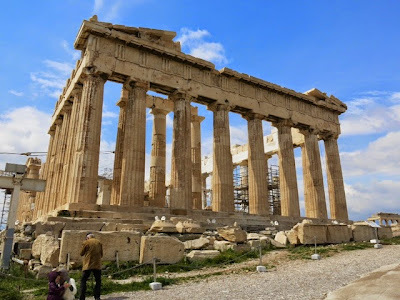 My wife and I along with our friend, Mona, are currently on a coach enjoying the free Wi-Fi while returning to Athens after a day trip to Larisa. 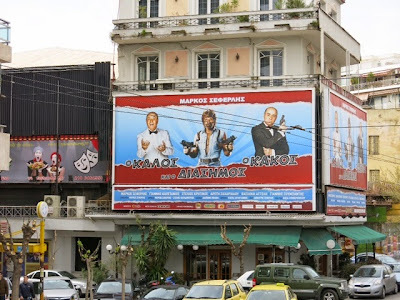 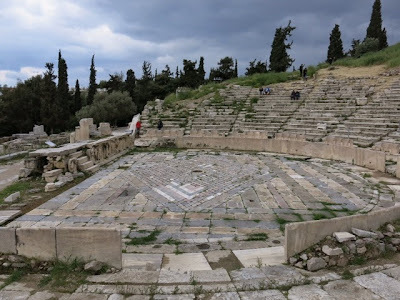 This is our sixth day in Greece and my first blog entry while on our five week European holiday. My goal while book hunting in Athens is to find Greek language James Bond novels with similar covers to those published by Pan in the early 1960's. 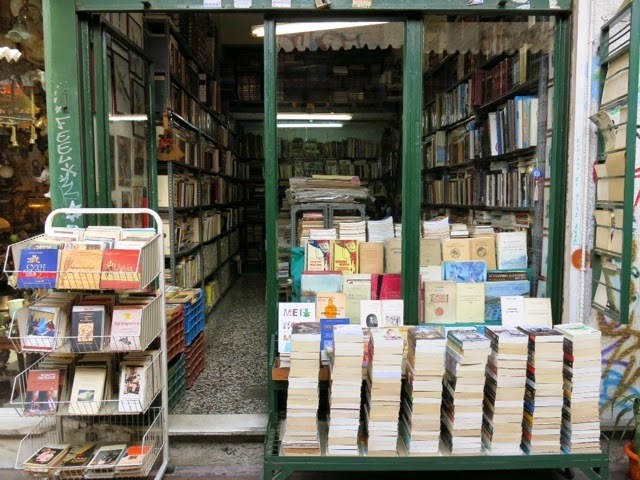 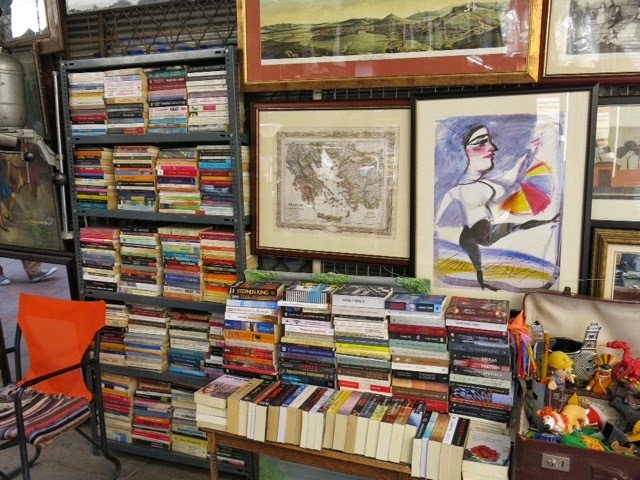 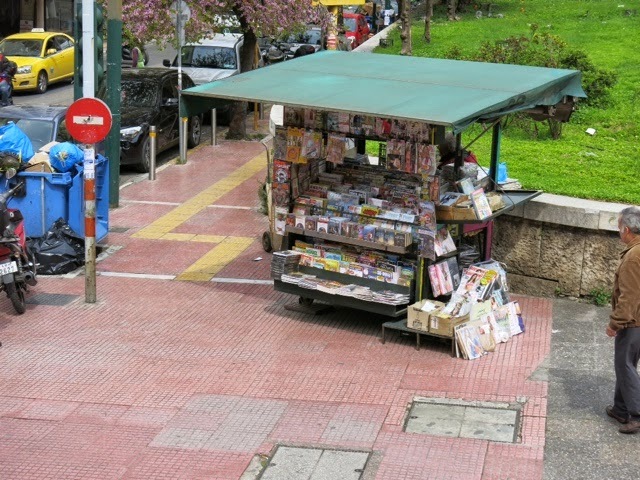 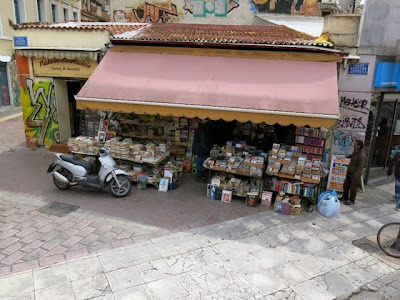 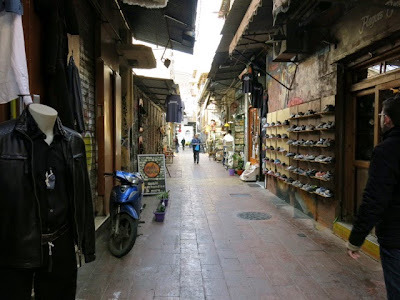 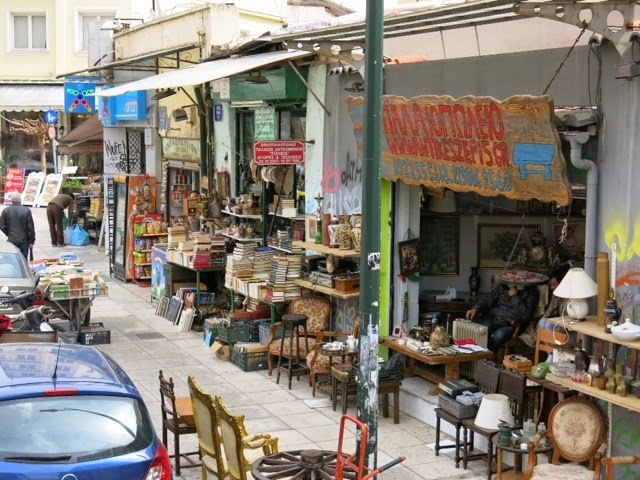 During the Hop-On / Hop-Off bus tour in Athens the other day my wife noticed a few book stalls near the flea market at Monastiraki (thanks Anagnostis) and we three managed to trek back the next day to check them out. 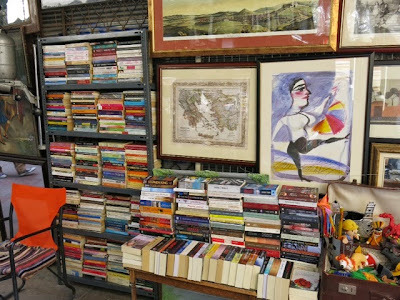 Here's some photos. Unfortunately I had no luck there. 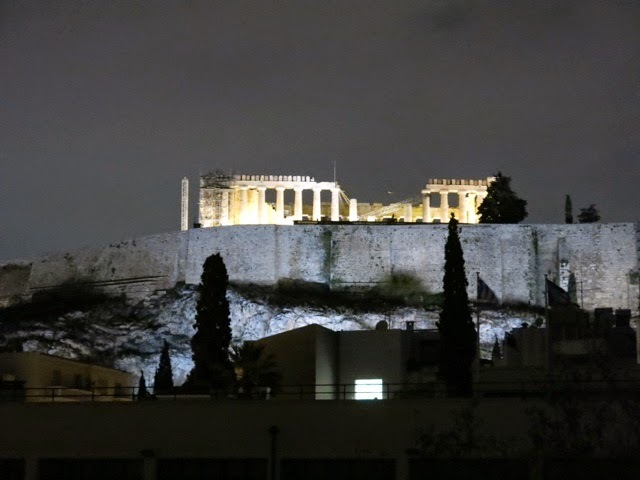 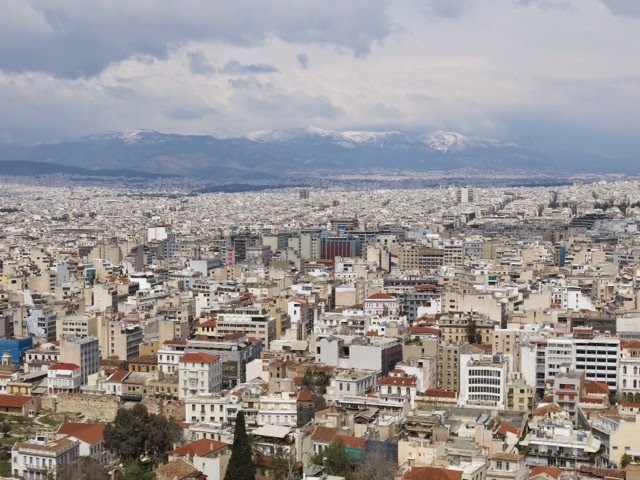 Finally, here's some more snaps of Athens including the spectacular Acropolis and Parthenon.